The Coquille Indian Tribe has named Mark Johnston as its new executive director. Johnston will head the tribal government administration, a job he has held on an interim basis for the past year. With support from the Coquille Tribe, the Kids’ HOPE Center aims to help schools meet the requirements of Erin’s Law. 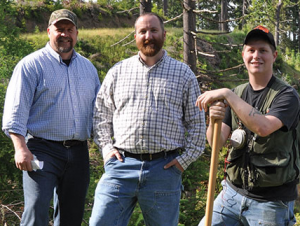 The Natural Resources Conservation Service has spotlighted the Coquille Indian Tribe as a conservation success story. How to Build a Future — Federal contracting poses a ‘significant opportunity’ for the Coquille Tribe. Cultivating Success — How the Kilkich Youth Corps prepares Tribal youth for the workplace. Other Ventures — The Coquille Indian Tribe and its business arm, the Coquille Economic Development Corp., have a diverse portfolio. 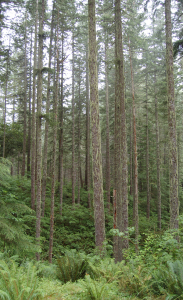 The U.S. House once again has passed legislation to put the Coquille Tribal Forest on equal footing with forests owned by other U.S. tribes. It’s part of a bill affecting three Oregon tribes. A new agreement will strengthen the University of Oregon’s relationships with tribes, leading to improved support for Native students, says Jason Younker, a Coquille Tribal member and associate vice president at UO. Leaders from the tribal nations joined President Michael Schill on May 5 to sign a memorandum of understanding that will enhance collaborative efforts on academic and cultural initiatives. Appreciation and many thanks to the board of trustees of the Coquille Tribal Community Fund and to Tribal Council for their strong support of their tri-county service area of Coos, Curry, Douglas, Jackson and Lane counties. The Tribe’s tradition of potlatch brings an investment in our area, giving to many for the benefit of all, which is a wonderful model for us all to follow. It is with great appreciation that the T.H.E. House would like to acknowledge the Coquille Indian Tribe for its recent Community Foundation Grant of $11,000. We will be using these funds to replace our aging domestic grade refrigeration, freezing and dish washing equipment with commercial grade appliances. The Coos Bay Seventh-day Adventist Food Pantry is grateful to the Coquille Indian Tribe for the $10,000 grant received Feb. 9.